3. when the cria is born, you own it. We will even guarantee a female! The mom reverts to us, and the cria goes on your board bill. 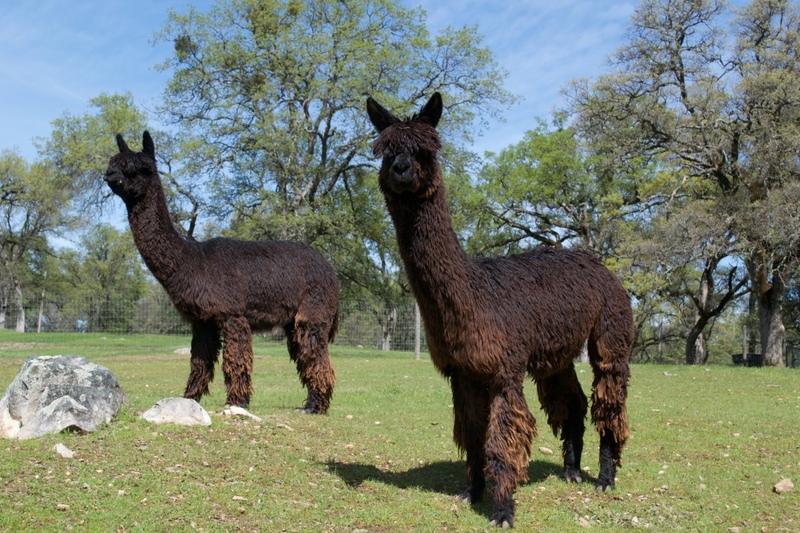 or take the cria to your own ranch if you are all set up. 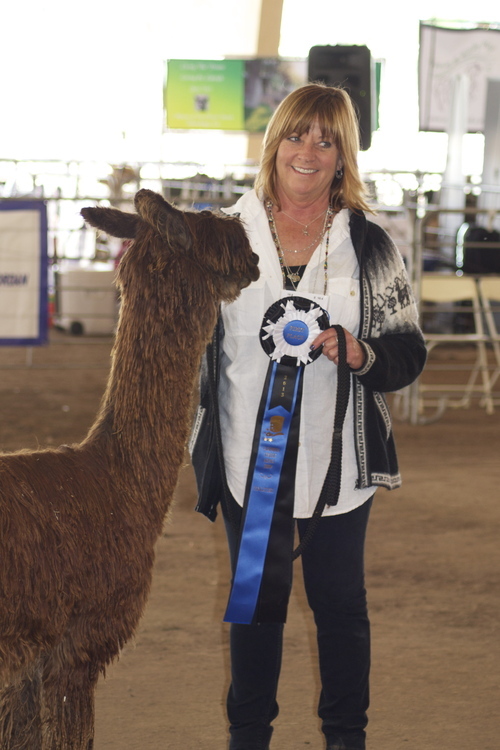 Huracan gave birth in the fall of 2017 to Kissed By An Angel, or "Kissy" -- and Kissy is a show-stopper winning a JUDGES CHOICE at the 2017 CABA show at only 6 1/2 months old! 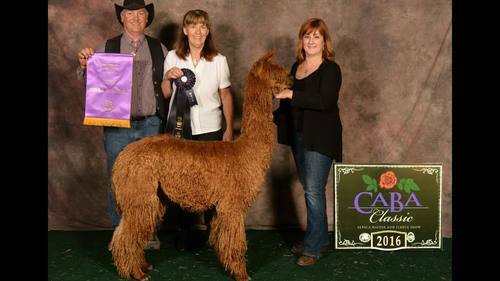 She has been rebred to her Kissy's daddy and 2x Judges Choice winner himself, Dakini Fiery Cross ~ her next cria is due late May, 2019!! Cross brings the genetics of his sire Wyuna, also undefeated and everything else you want in fleece quality to the table! Huracan drew our attention immediately as we really wanted some Torbio genetics in our herd and we just loved her rich brown color. 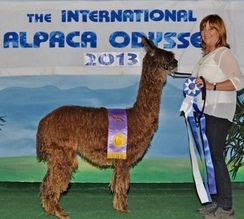 As you can see from her show record Huracan did quite well for us in the ring. 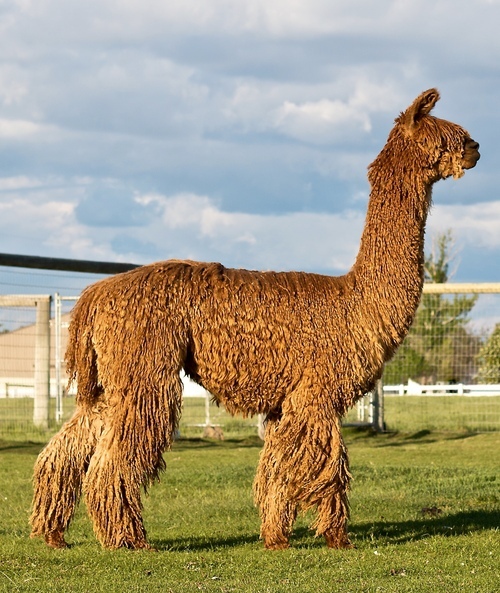 In addition to her rich color she has a nice handling fleece, perfect conformation and has been an excellent dam to her first cria. 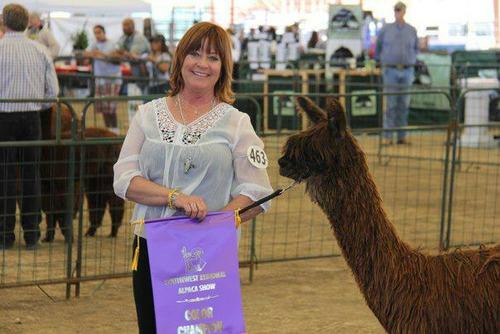 Judges Choice at Her First Show! !